Welcome to the blog! We welcome your articles on various aspects of beekeeping, and your comments and questions. Two years ago, on the third weekend in February, my son married the wonderful Kristen. Winter has finally arrived in Kalamazoo with a gusty debut! This is a good opportunity to check your hives and make sure they are secured for the next few months of our Michigan climate. High winds and animals pose a significant risk to any hive, but especially any vertical style hive like Langstroth and Warre hives. This is doubly true for narrower profile hives like 8 frame hives and 5 frame nucs. 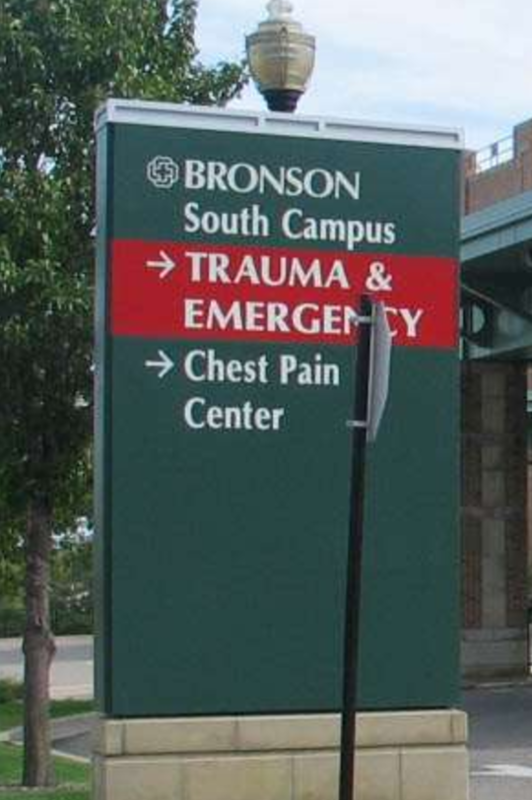 If you haven’t already done so, strap them down or weight them with a 20-pound rock or block. 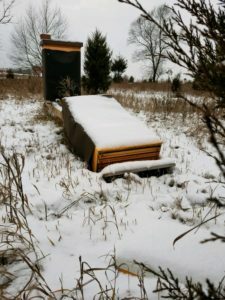 Windbreaks and other wintering preparation provide additional protection, and it’s not too late to give your bees an edge by shielding them from excessive drafts. 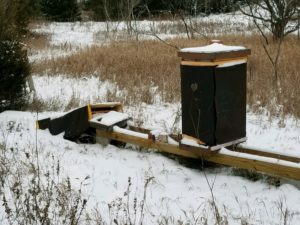 The WMU apiary suffered from the strong winds this week, and some corrective measures have been taken. Images © Todd Smith 2017. Edit: Be sure to check out Rusty Burlew’s site for a lot of great wintering information. Remember that beekeeping is a highly local endeavor — what works for someone ten miles away may not work for you. What then happened to her will forever change the way I keep bees and teach classes. 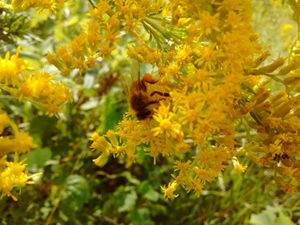 Saturday, August 19, is National Honeybee Day. 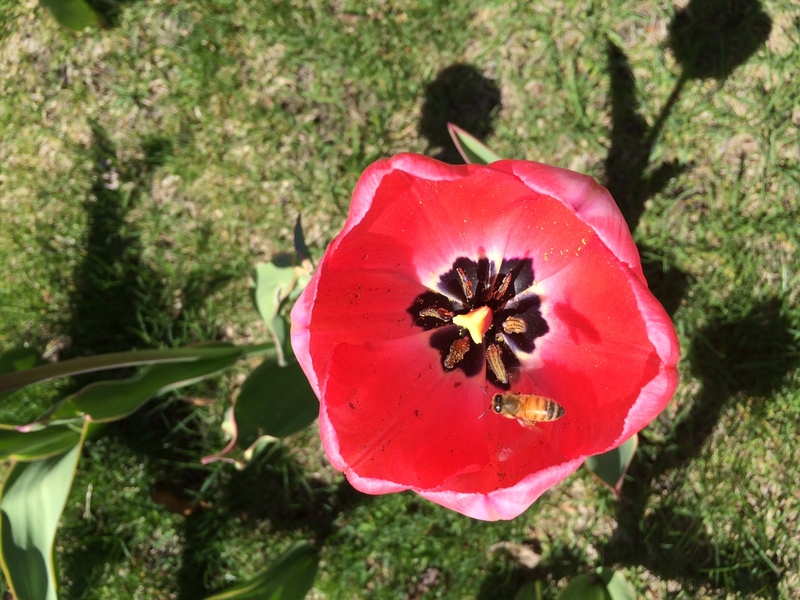 For non-beekeepers, it’s great there is a day to focus on this essential pollinator. 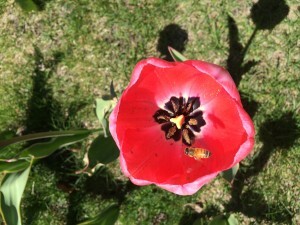 For we beekeepers, it’s another day for us to focus on our favorite insect during a very critical month. Much of what happens with bees in August sets them up for overwintering success. August’s honeybees are building the bees that need to make it through winter; August’s honeybees need to be in peak physical condition. That powder-dusted reddish spot is a mite. You younger folks would’ve been able to see its legs wiggling. “Spellbinding” is just one of the words I heard describing the nearly two hour presentation by Dr. Meghan Milbrath at the July Kalamazoo Bee Club meeting. With her frank, witty and friendly delivery, Meghan’s advice–backed by experience and research—offered something to all levels of beekeepers. “If I’d heard this talk my first year, I would’ve killed fewer bees,” a third-year beekeeper shared with me afterward. When you can’t find the queen, you probably don’t need to buy another. Meghan went over the rationale and timeline for when a colony goes queenless, highlighting that understanding basic bee biology and patience are key. 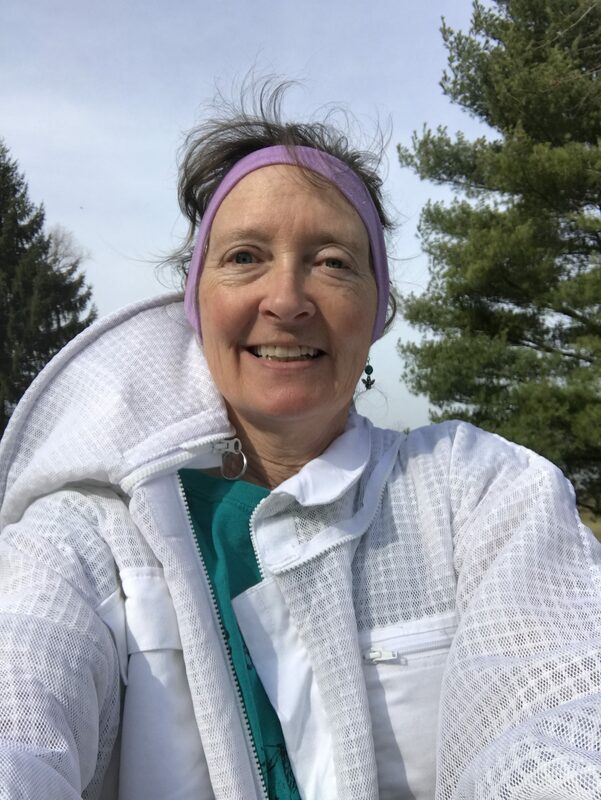 “The problem is typically not in the colony, but in the beekeeper’s expectations,” she noted. I’ve done hundreds of package installs over the years, and wished I’d known about this less-stress, better-for-bees method years ago. Dr. Larry Connor recommended it to me; I now teach it in my bee-ginner classes and have used it very successfully. I invested in a new, vented suit for bee season, which seems to be approaching. There are tempting hints of spring, and I want to put on my suit and jump in the hives, but Mother Nature has other plans. — Add a protein patty: bees desperately need protein for spring build-up. 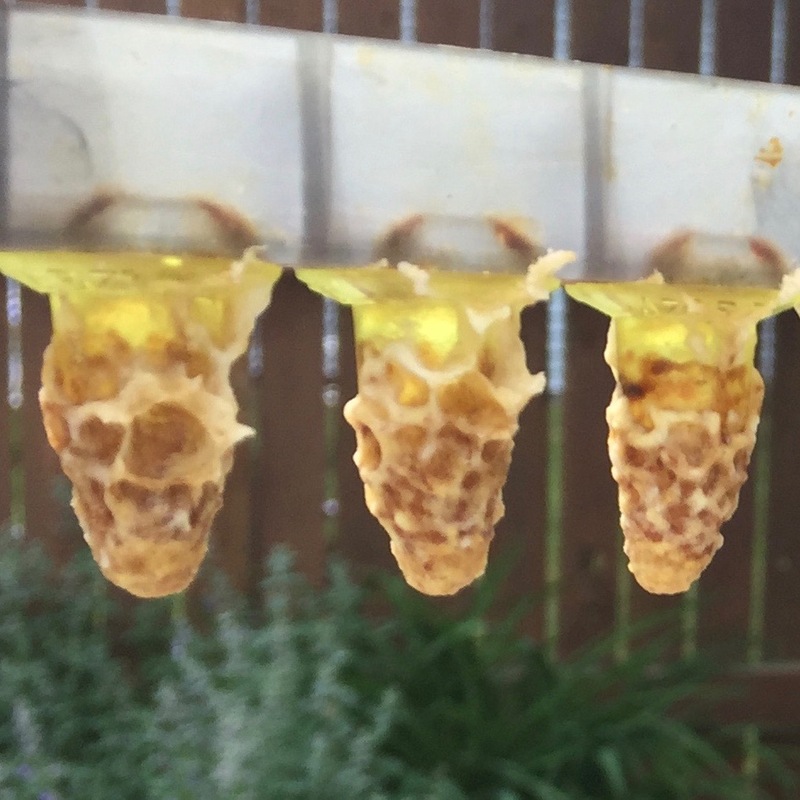 A pollen patty placed atop the bars of the brood nest (be sure to stay close to the nest) might give them the critical protein they need as the weather comes and goes over the next month. Chances are their version of March Madness doesn’t focus on basketball–but rather how do they get enough protein to properly care for developing bees? — Provide sugar syrup: until the world erupts in nectar sources, they’re burning lots of fuel looking for more. — Reduce space: if you had on three or more boxes, chances are that at least one might be empty. Minimizing space helps them keep brood warm. 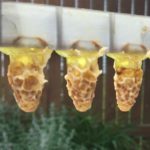 If you have one of those “three cups of bees” clusters that appears to be struggling, you may even want to reduce the colony to one box. We’re tempted to remove the black wrap skirting and Styrofoam we use for winterizing hives, but we’ll probably wait until later April to do so. Mother Nature loves the way snow looks on tulips, so we could have more cold nights and fluffy white stuff. When we do remove the gust-protective skirts though, we’ll put slider boards back in to help the bees control temperature. Chances are that you’ve lost a colony or two (or seven.) I’ve heard anecdotally of about 40% overwintering loss; it happens—especially if your Varroa were not under control. Here’s what we’re doing with dead-outs. And yep, we also had some, doggone it. — Autopsy: to try and figure out why. (Chances are very good it is related to Varroa.) A tell-tale sign is crystallized mite urine, especially about the brood nest. Once we rule out American Foulbrood, we’ll evaluate the frames, foundation and boxes to see if their suitable for reuse. — Dead bees are brushed off, and if there is a lot of decay on the frames or foundation, we’ll discard. Otherwise, time in the sun usually handles mold issues and some sterilization. Let frames get plenty of air and sun. — Boxes with heavy defecation are washed with a mild bleach solution, rinsed, and then allowed to dry / sterilize in the sun for a few days. We’ll also repair them if need bee. 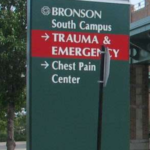 — All frames are pulled out to ensure they’re solid–repaired if not. It is super-frustrating to encounter a frame of honey in July and try to pull it only to pull off the top bar. — Honey frames are put in the freezer. We’ll save them to use in splits in a few months from our strong colonies. In these dwindling days of 2016, we SW Michigan beekeepers wouldn’t normally know the status of our colonies. But Mother Nature wanted us to give us more to worry about than the peaceful transition of democracy and whether Detroit beats Green Bay. Temps in the mid-50s the day after Christmas allowed folks to pop the tops to check on their bees, and investigate further if they saw no signs of life. Administrator’s Note: We welcome guest authors, and are featuring this insightful article from Brett Kozma, of bkbees.com. In today’s day and age we hear all of the time about the benefits of eating raw, organic or natural, and honey is not an exception. All over the internet there are wild, seemingly outrageous claims about the benefits of raw honey and the evils of mass market stuff. In this blog I will try to paint the real picture, the true benefits of raw honey versus processed mass market stuff that most people have in their kitchen cabinet.